Please contact me if you can put a name to a face, or have a tale tae tell ! Oct.2004.... 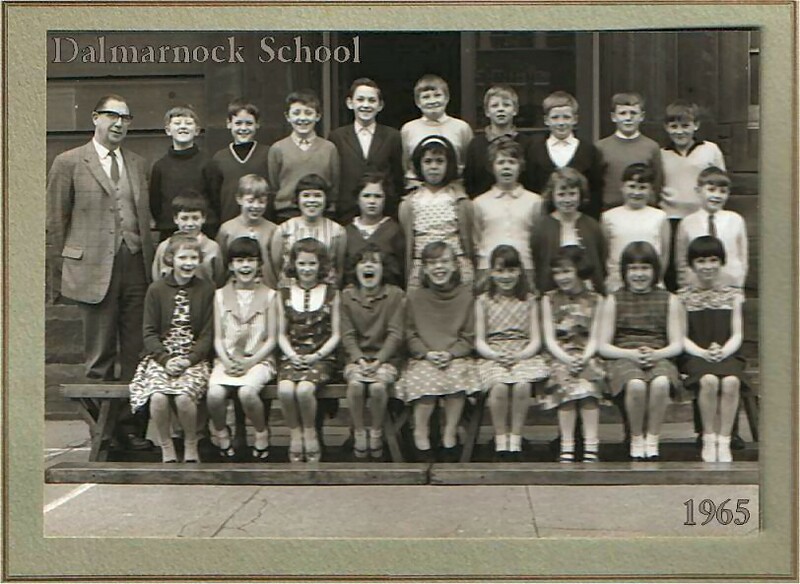 Received a copy of this class photo from Patricia Docherty's mother at the Dalmarnock school's open week. I was delighted to meet Patricia's mother again ... it must be at least 35 years since we last met. I have fond memories of Patricia and her mother from when they lived in Queen Mary Street, directly opposite the church, their close was next to Walker's wee sweetie shop! 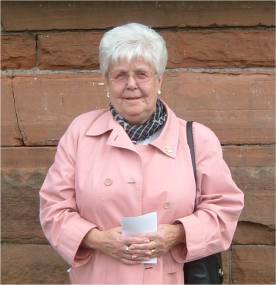 She still lives in the area but Patricia emigrated in 1974 and lives in South Africa. Hi Wull, Once again congratulations on such a brilliant website, love taking that walk down memory lane. I do still visit the Bridgeton area as I still have friends who are living in the area. I was just viewing the class of 1965 picture the teacher was Mr Mcintyre, 2nd row five I believe is Ina Finlayson, front row 4 im sure is Ellen Cullen 6 Linda Biggam 7 Joyce Gibson 8 Jeanette Young.. Best regards Joyce.